A very big welcome from Roll It, Ireland's only handmade all butter pastry. 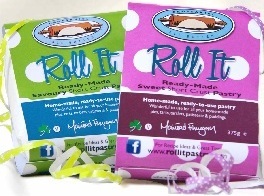 Roll It is a family run business specialising in ready-to-use all butter pastry. 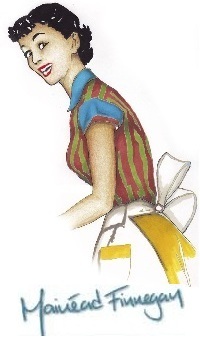 All our pastry is handmade by the cool hands of Mairead Finnegan, in her home in Crossakiel, Kells, Co. Meath. I have been making pastry for years and it is something that I have always really enjoyed doing. Friends and family were so taken with my pastry, requests to make some for them increased to a point that I realised there was certainly a market for a range of the fine handcrafted pastry products. It is important to me to make my pastry in the traditional manner using only natural Irish ingredients; free from additives, preservatives and colourings. These quality Irish ingredients ensure that we conveniently bring the taste of delicious homemade pastry to your home. From simple beginnings we are now available Nationwide. Our rich sweet pastry is made with unbleached flour and is enriched with free range egg yolk and sweetened with sugar and real vanilla. 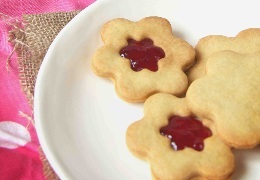 It is ideal for sweet tart cases, pie bases toppers and biscuits . This is a versatile, unsweetened pastry that can be used for sweet or savoury tarts. It is made using butter, unbleached flour, egg yolk and water. It is light in texture and can be used as a substitute for flaky pastry. 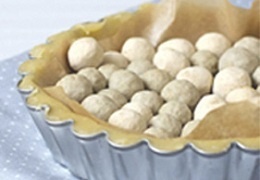 It is ideal for savoury and sweet tarts, pie bases and toppers, sausage rolls, pizzas turnovers and many other delights. 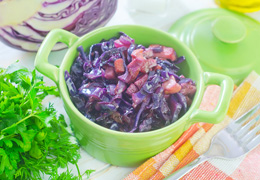 Check out our Recipe Sections. All Roll It Products are frozen to ensure that the home made flavour of the pastry is locked in and so that no nasty additives or preservatives are required.